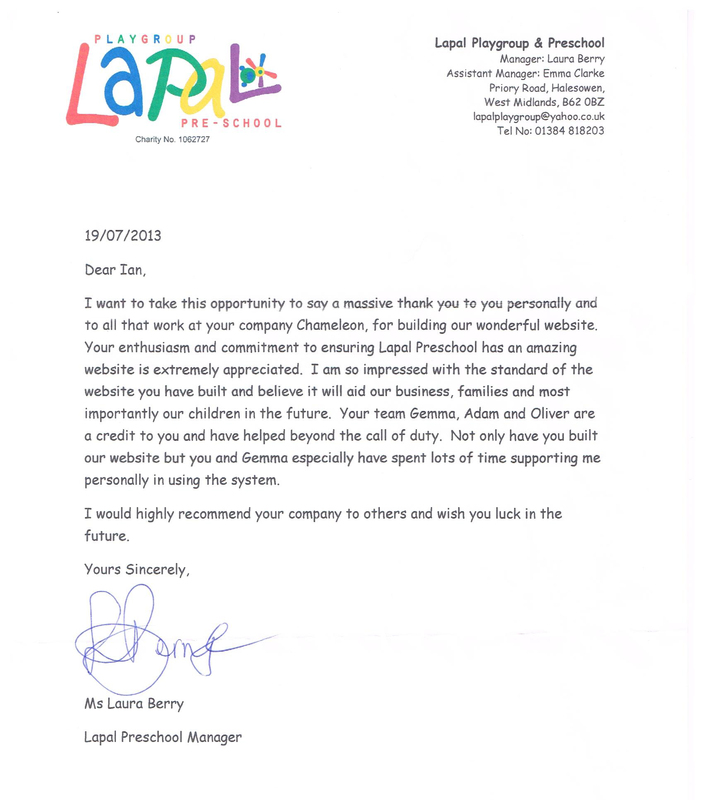 Lapal Nursery Preschool and Playgroup on Priory Rd, Halesowen, Dudley B62 0BZ is one of Chameleon’s clients. 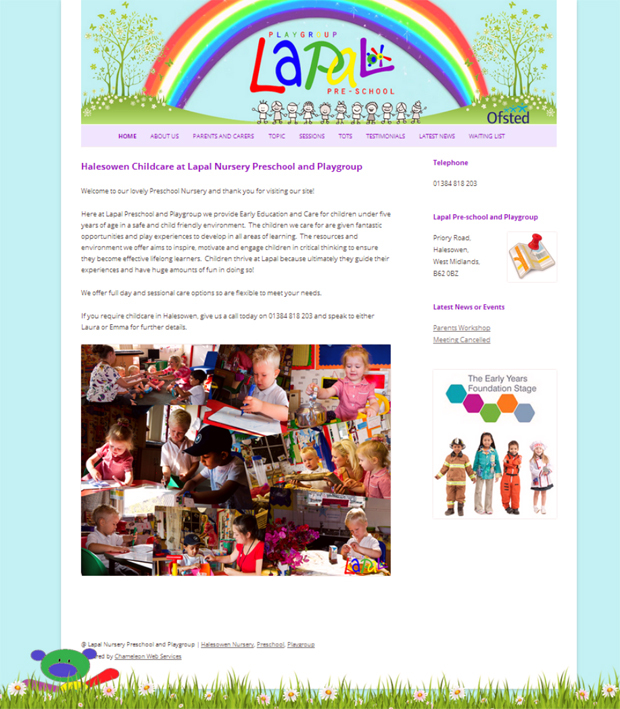 We have built a website to the design that the Nursery needed and with their branding. We carried out Google Business Photos and helped local people looking for a nursery find the Lapal nursery easily when using Google. 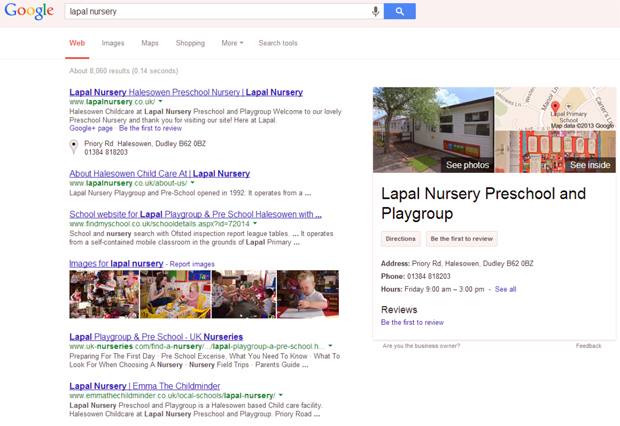 When you searched for Lapal Nursery before we built the website and carried out Google Business Photos all you found was other nursery’s and companies advertising nursery placements in the area. Now Lapal have a good stance in Google.